ToddK is certainly no stranger to the Zoo. He’s had several projects over the years since the zoo first started, that have been fantastic. Always fun to watch, his builds have quite a range of inspiration. The latest is themed around his favorite sports team, who had just wrapped up a championship year. 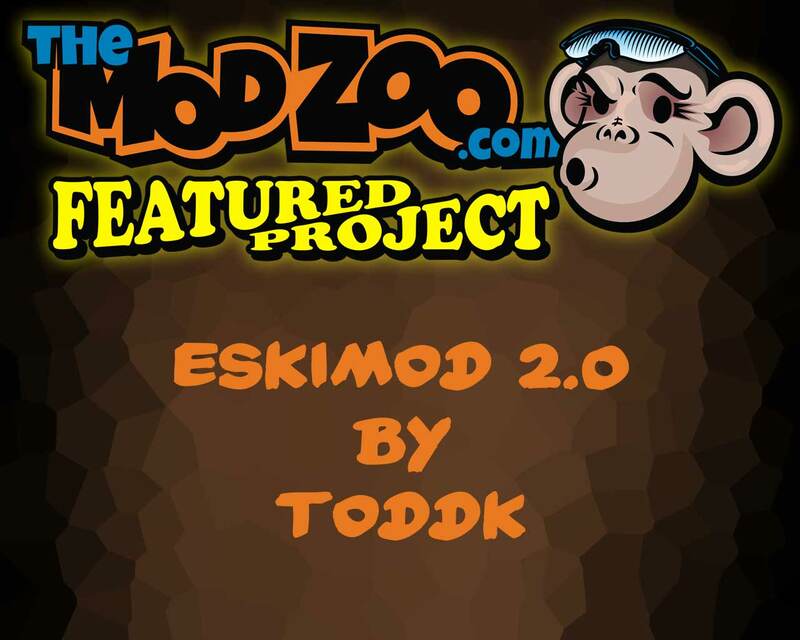 Today, we’ll feature his latest project to hit the zoo; Eskimod 2.0. ToddK’s favorite sports team is the Edmonton Eskimos, a Canadian Football Leaque team, so when they won a championship in 2015 Todd decided to build a case themed around that. He wanted to do a full scratch build, and designed this one around a custom “wind tunnel” design. The design allows air to go from the back of the lower platform through the case, and out the top. It is largely 3D printed parts and aluminum bar for the frame, and acrylic for the sides. The case was designed to fit up to two 360mm radiators, and two graphics cards. Centered around the theme, he even modeled the power button after the championship ring. This part proved tricky to 3D print for Todd, but he eventually got it hammered out and it turned out great! The System installed consists of a Gigabyte Z170-UD3, i5 CPU, 16GB of Avexir Raiden RAM, and a pair of R9 290 GPUs. Todd included a full custom watercooling loop that consisted of Alphacool GPU and CPU blocks, a 360mm radiator, Susurro fans, a bay reservoir, and MNPCTech stainless steel hardline fittings. Head on over to the forums to check out the Full Project Log from ToddK on TheModZoo.com for how they built everything, and more pictures!